If you are an MS Access database user, you must have come across with a number of error messages. One of the common errors of Access database is ID is not an index in this table. This error is also known as Access error code 3800. This error causes serious disruption in Database functioning. It is necessary to terminate this error for the smooth running of Access database. This post will focus on techniques for removing this error. It will also discuss causes of error code 3800. First of all, we will go through two queries regarding this error. To fix this error, we have to know the causes of it. It can be caused by any of the listed situations. This error can occur if a database is accessed by 5-6 people at the same time in a shared network. If different users use different version of MS Access over a network, the database may show this error. Error in Visual Basic Code can also be the reason for MS Access 2013, 2010, 2007 ID is not an index in this table error message. The most common reason behind this error message is corrupt or damaged MS Access database. Now that we know the causes of this error, we can concentrate on ways to fix it. The database corruption of Access is considered as the most common reason behind this error. If the corruption can be removed, this error will also be removed. There are some techniques of fixing corrupt and damaged database file. Database users can use these techniques to fix their damaged database. 1. Using Compact and Repair feature: This tool comes inbuilt with Access 2010. Follow these steps to fix corruption in the database. Open MS Access. Go to Database Tools >> Compact and Repair Database. Find and select the corrupt file and then click OK.
After completion of process, the database will be free of corruption. Launch MS Access. Create a new Access database file. Go to External Data tab and click Access to Import Access database. A new window will appear. Browse to select the damaged file you want to import. Confirm the place and method to migrate data in the new database file. Click OK. Select the database objects you want to import from the next window. Click on OK.
3. Restoring Backup: If any backup of damaged database is available, restore it. Database backup turns out to be effective in such kind of cases. 4. Jet Compact Utility: This underlying component of Microsoft can also rectify database corruption. It is mainly designed to fix minor corruption in Database files. Nowadays, people do not have time for performing lengthy manual methods. Moreover, these methods do not guarantee complete recovery of database. Rather than trying these manual techniques, users can simply choose automated method. There are a number of third-party tools available in market for quick solution. These applications can recover database infected with both major and minor corruption. 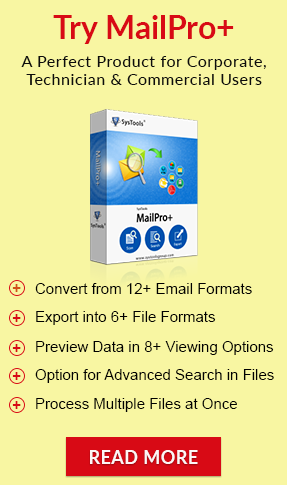 These software also restore all parts of Access database. Users can quickly repair corrupted Access database using the utility. Access error message 3800 interrupts database functionality badly. It becomes impossible to read the database with MS Access 2013, 2010 ID is not an index in this table error. This issue indicates that the database may be facing corruption and needs repair. Users can try to resolve database corruption by using manual methods. They can also use quick method of using application to fix database corruption. This application will resolve this error and restore usual functionality of Access database.